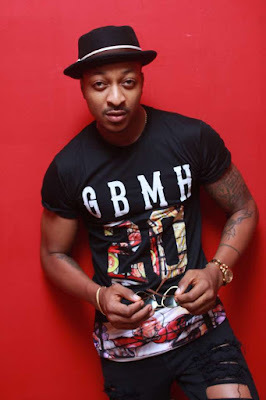 Stylish Nollywood actor, IK Ogbonna, thinks there is nothing wrong in men wearing earrings or getting tattoos as such actions does not define anyone. In an interview with Vanguard News, the actor insisted that God did not create earrings, yet women wear them. For this reason, he does not reckon that there should be an issue when men are seen putting them on. “Who invented earrings?” he began. “God didn’t create earrings but girls are wearing earrings. These are things that people created overtime and then it became a norm and then people accepted it. "So someone shouldn’t just look at you and say Oh you’re a man, you shouldn’t wear earring. "If you feel comfortable wearing earring, wear earring and worship God. "If you feel comfortable having a tattoo, have a tattoo and worship God. "There are people that don’t have tattoos on their body but they preach hate, they preach lots of hate. “So let people focus more on major primary issues instead, and not IK Ogbonna’s tattoos and earrings. "I’m going to keep my tattoos and earrings for as long as possible. "I might even give my son an earring to wear."